Visit us today for the best quality meat from our cases or off our menu. Prepared for you fresh daily, we serve a delicious menu of soups, sandwiches, and other grab-and-go items from Monday through to Sunday. 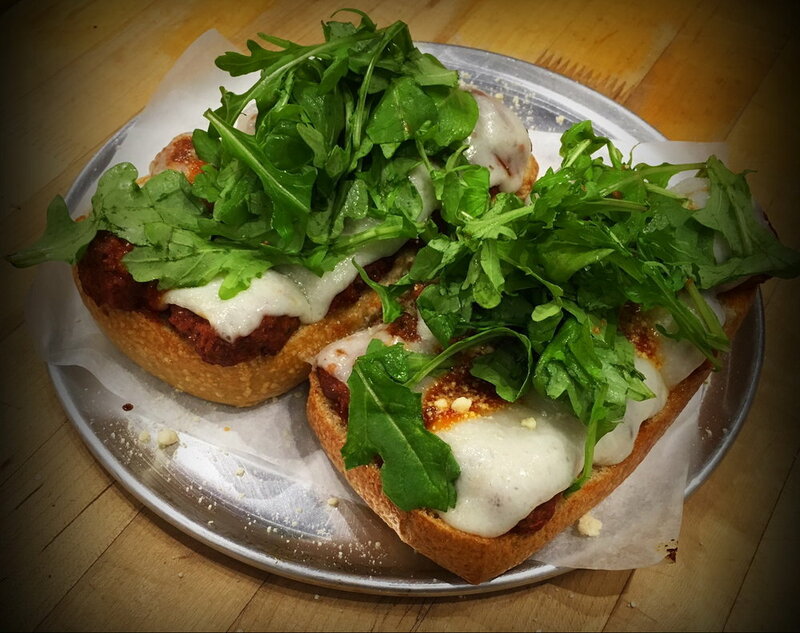 Ground pork, veal, and beef, simmered in a pomodoro sauce with parmesan and arugula, on a fresh toasted ciabatta bun. House roasted baron of beef, horseradish monterey jack, dijonnaise, red onion, and arugula toasted to order. Sundried marinated chicken breast, pesto mayo, tomato, mozzarella, and arugula toasted to order. Melted cheddar and smoked swiss cheese with a dill ranch sauce, in a toasted ciabatta bun. When we make our ready made meals, there's no filters. We do it from scratch, ourselves, in the kithcen every day with fresh ingredients. Check in store for our chef's daily creation.